Description:RC Parts & Accs:PropellersRemote Control Peripherals/Devices:OtherTool Supplies:Asse..
Specification: Built-in LNA signal amplifier Built-in Flash, free configuration of product parameter..
0.96 OLED Display ESP32 WIFI Bluetooth Lora Development Board Transceiver SX1276 868MHZ 915MHZ IOT f.. Description:Type: 0805Value: 33 different valuesQuantity: 660pcs, each value is 20pcsPackage Include.. Description:Using the strength of the photoresistor sensor light, comes with a relay to controlthe l.. 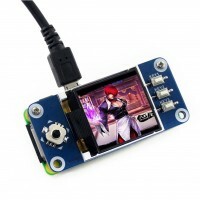 Description:Size: 1.3inchResolution: 128X64Color: BlueViewing angle: greater than 160 degreesSupport.. 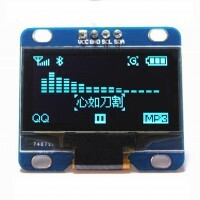 Description:Size: 1.3inchResolution: 128X64Color: White Viewing angle: greater than 160 degrees.. 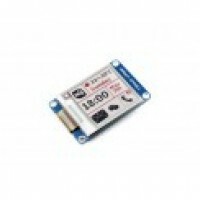 Description:Standard Raspberry Pi connectivity, compatible with and direct-pluggable onto Raspberry .. 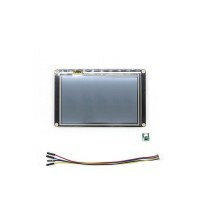 Description:This is an E-Ink display module, 1.54inch, 200x200 resolution, with embedded controller,.. 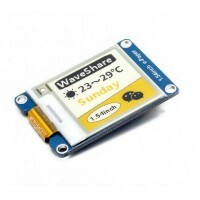 Description: This is an E-Ink display module, 1.54inch, 152x152 resolution, with e..